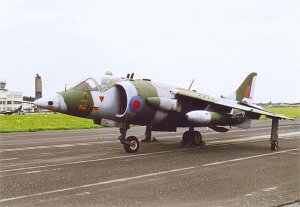 The Hawker Siddeley Harrier GR.1/GR.3 is a single-engine single-seat vertical/short takeoff and landing (V/STOL) fighter bomber aircraft produced by the British manufacturer Hawker Siddeley Aircraft Ltd., later BAe, British Aerospace. The Harrier was operated by the Royal Air Force (GR.1/GR.3), the Royal Thai Navy (AV-8S & TAV-8S), the Spanish Navy (AV-8S/VA-1 Matador & TAV-8S) and the United States Marine Corps (AV-8A/C & TAV-8A). The Harrier GR.1 is powered by a Rolls-Royce Pegasus 6 Mk.101 engine with a thrust of 84,5 kN (19000 lbs). The updated GR.1A is powered by a Pegasus 10 Mk.102 engine with 91,2 kN (20500 lbs) thrust. The AV-8A of the US Marine Corps is a variant of the GR.1 with the Pegasus 11 Mk.103 engine of the GR.3. 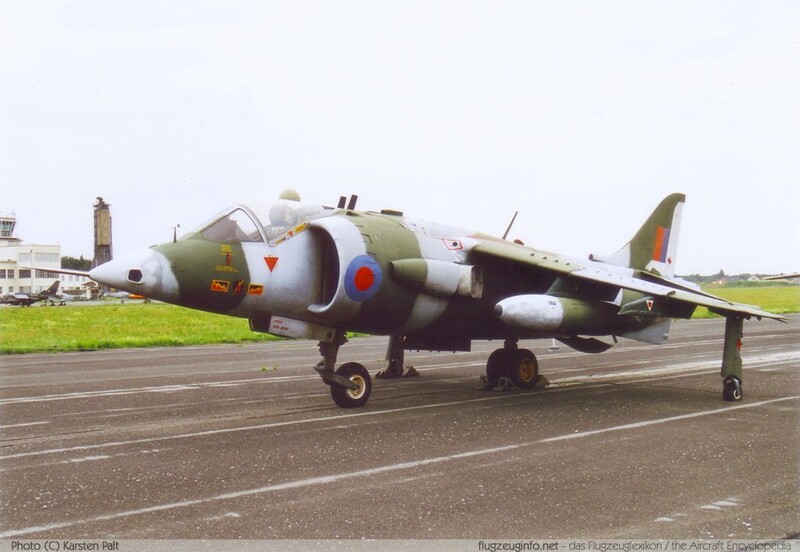 The Harrier was developed into the BAe Sea Harrier and the Harrier II (GR.5, GR.7, GR.9, AV-8B).